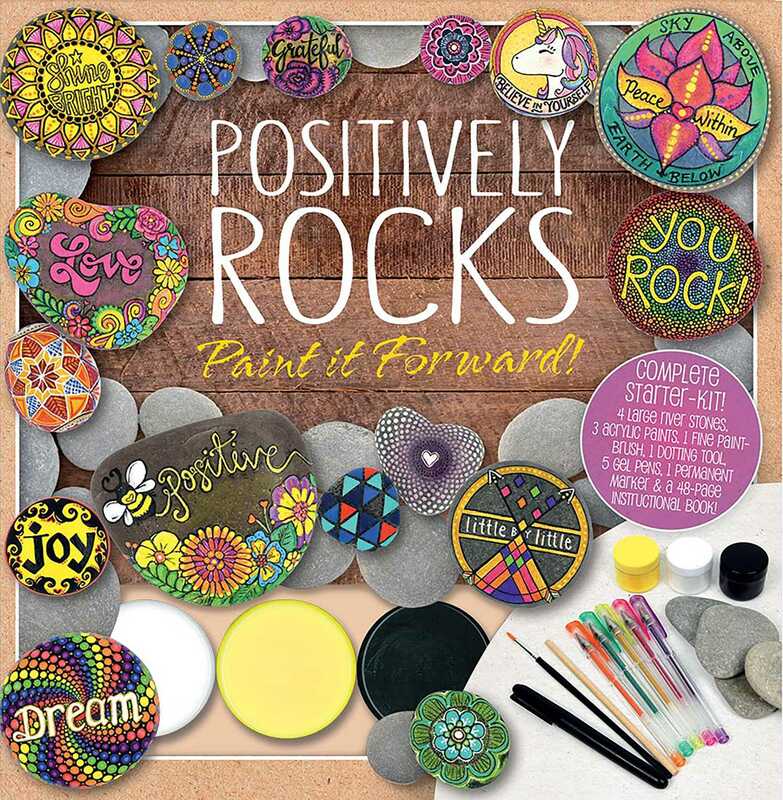 Infuse your life with positivity with the bold and inspiring rock painting projects in Positively Rocks. Step-by-step instructions with photographs make it easy to add colorful accents to your house and garden—all done with an emphasis on positive thinking. The kit includes three large river rocks, three acrylic paints, five colored pens, a paintbrush, a dotting tool, a permanent marker, and a 48-page instruction book to help you paint eight creative pieces. A variety of tips and tricks will enable you to rock on and create your own designs.